Come early or stay late if you want. There's plenty of parking in the yard. It's best if you let me know in advance if you're coming and if you are bringing kids, so I can be prepared. Wear comfortable clothing and bring a bottle for water. Here's a little sample video of me doing a lazy man's bow drill fire sitting down. 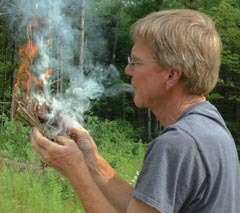 Jim Blizzard is Wilderness and Life Skills Instructor at Eastman Hill Health and Training Center. "I imagine being on a canoe trip in a very remote area with all my trusted camping gear, and an hour or two before dark a terrible wind comes and sinks my canoe. When I swim to shore I have no shelter, no knife or hatchet, no lighter or matches, no cooking gear, no container for water, no compass, no phone and no food --not a good time to start learning survival skills! The more I learn about nature, the more I see the Creator's hand in it. Everything necessary to not only survive, but to thrive is built into everything around us. 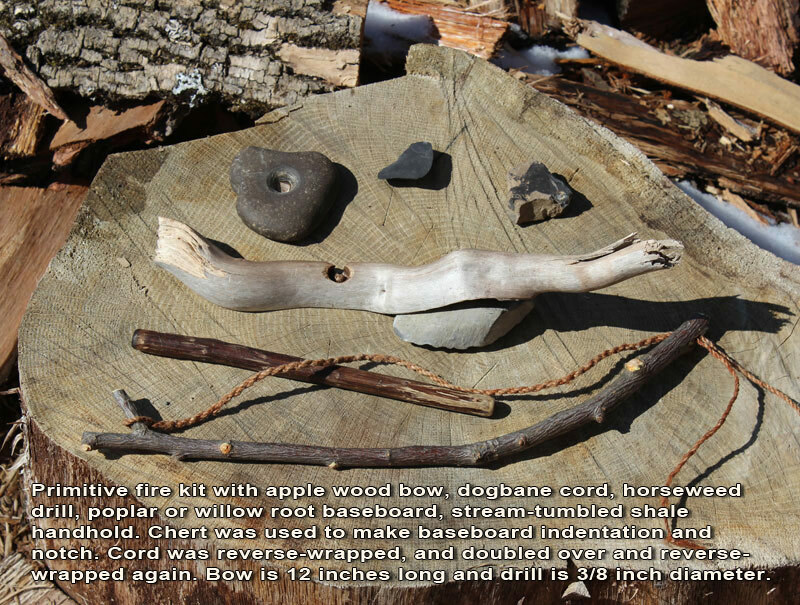 Making fire with no matches gets lots of attention, and it's lots of fun, but I can also make strong string or rope from quite a variety of different things, boil water and cook food without pots and pans, and find food and medicine almost anywhere. 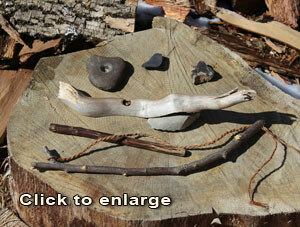 One of my favorite things is to make the tools I need from whatever is available in any location. One of the best things about learning the skills is that there's always more to learn, and that means there's always more to share with others. I've helped people from 5 years old to 65 learn to make fire without matches, and everyone who does it goes away feeling they have done something really amazing." My goal is to learn to be able to comfortably survive for as long as necessary in any wilderness situation, and to teach anyone who is really interested in learning. Email or call to schedule private or group lessons.